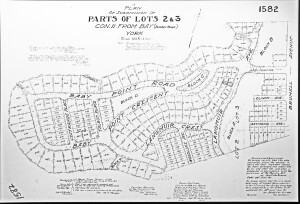 In April 1911, Home Smith made application to the City of Toronto for permission to develop his vision for Baby Point, undertaking “one of the most ambitious, exclusive residential housing schemes ever devised in North America.” Baby Point’s boreal oak forest was to be protected and preserved, hardscaping and landscaping executed to create a neighbourhood which represented the best principles of the Garden City Movement. Clients could use architects of their choice to create plans for their residences, but the plans had to be submitted and approved by the Home Smith team. Siting was important and unalterable. At one point, he employed an architectural staff of almost 30 people vetting plans, materials, designs, uses and building quality, to ensure compliance with the requirements of the buyer’s covenant. He also was committed to providing land reserves for churches, recreational purposes, schools and commercial uses, including a farmer’s market. 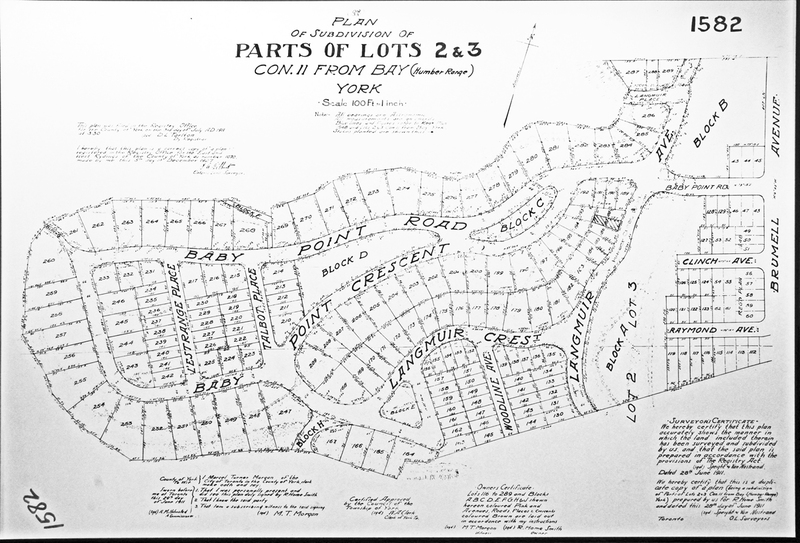 Land reserved by Home Smith allowed creation of the Baby Point Club in 1923 by residents of the growing neighbourhood, which has helped to maintain a “small community atmosphere” for more than 90 years.